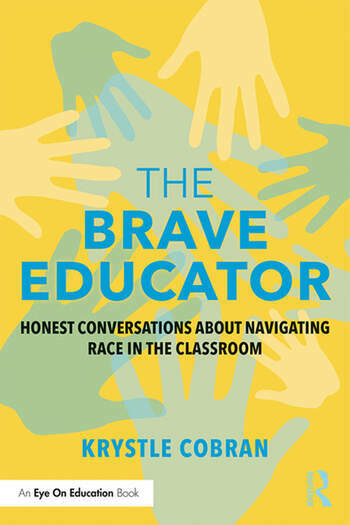 The Brave Educator equips you with accessible and refreshingly useful tools necessary to lead real conversations about race that prepare students for the world beyond the school walls. More than simply a toolkit, this book is a personal conversation about the journey of learning how to create productive dialogue about race in the classroom. It’s for educators, leaders, and teachers who are facing overwhelming daily responsibilities and need a supportive place to begin. Inside you’ll find a flexible roadmap you can use to carve a path through difficult conversations in your classroom, with question prompts, resource lists, and crucial tips to help you avoid common stumbles. The experience-based perspective and real-world examples in these pages will help you feel less alone as you move from feeling tentative to prepared. Krystle Cobran creates conversations about race that open the doors of connection. Her work helps us weave our stories together so we can begin to understand each other. Krystle draws on her Juris Doctor from The George Washington University Law School, her Master of Public Policy from The Thomas Jefferson Program in Public Policy at the College of William & Mary, her experience creating, developing, and teaching two conversation-driven undergraduate courses at the intersection of race and the law (Race & the Law, and American Courts, Race, and Social Issues), her work as a speaker, consultant, and writer, and her love for human stories to transform seemingly impossible conversations about race into genuine dialogue that propels us forward. Her work begins with listening. To you. You can drop Krystle a note by visiting krystlecobran.com.